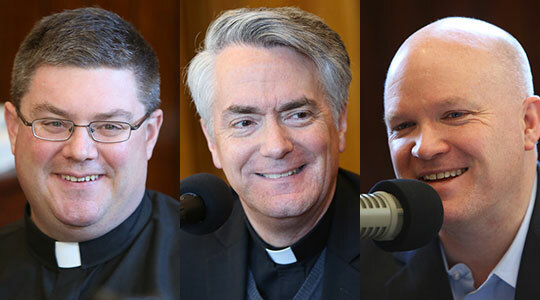 Summary of today’s show: The Archdiocese of Boston has three seminaries and the second-oldest Bl. John XXIII National Seminary in Weston. The seminary forms men for the priesthood who are approaching this vocation later in life and are in training for many dioceses around the country. Fr. William Palardy, the rector of the seminary, joins Scot Landry and Fr. Chris O’Connor to discuss the seminary, its 50th anniversary, the upcoming change in name when Bl. John XXIII is canonized, the elevation of former rector Bishop Peter Uglietto as vicar general for the archdiocese, and the epic softball battles between St. John Seminary and Bl. John Seminary. It’s so good to hear Fr Palardy. As a graduate of John XXIII Seminary, it’s good to reminisce with Fr Palardy’s voice and this interview. I’m also pleased to learn of Bishop Peter’s new assignment and I’m sure that the priests of the Archdiocese will be immensely rewarded. God bless Blessed John XXIII for 50 years of teaching, praying and worshipping with men who have this wonderful vocation to the priesthood. It will be good to see Fr Palardy in Rome for the canonization of Blessed John XXIII. Thank you, Scot and Fr Chris for the media work you do.